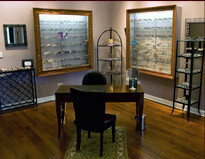 Our doctors can help you determine if laser vision correction is right for you. We manage patients throughout the surgery, work closely with the surgeon, and provide both pre- and post-operative care. Click here to schedule your appointment and find out if you are a good candidate for laser vision correction, and for your referral to one of our surgical partners.